With the exception of Dan Marino, who immediately set the league on fire, NFL quarterbacks typically break out somewhere between their second and third seasons in the NFL. By that time, the QB’s mind should have caught up with his rocket arm, enabling him to stand tall in the pocket and pick apart the defense, instead of running for his life or locking in to one receiver and firing the football into triple coverage. Heading into the 2015 season, three more signal callers appear poised to make the leap in performance, from that of serviceable starter to a real playmaker and franchise savior. Drafted behind Blake Bortles and Johnny Manziel, scouts largely wrote off Teddy Bridgewater for his lack of size, speed, and arm strength. Bortles, at 6-foot-5 and 230 pounds simply looked the part, while Johnny Football and his Heisman Trophy were allegedly set for superstardom. Ironically, Bridgewater went on to have the best rookie season out of the three. As a rookie, Teddy Bridgewater completed 64% of his passes, for 2,919 yards, 14 touchdowns, and 12 interceptions, as well as running for a respectable 209 yards and one touchdown on the ground. Over the course of the season, Bridgewater showed that he is more than capable of keeping broken plays alive and moving the chains. 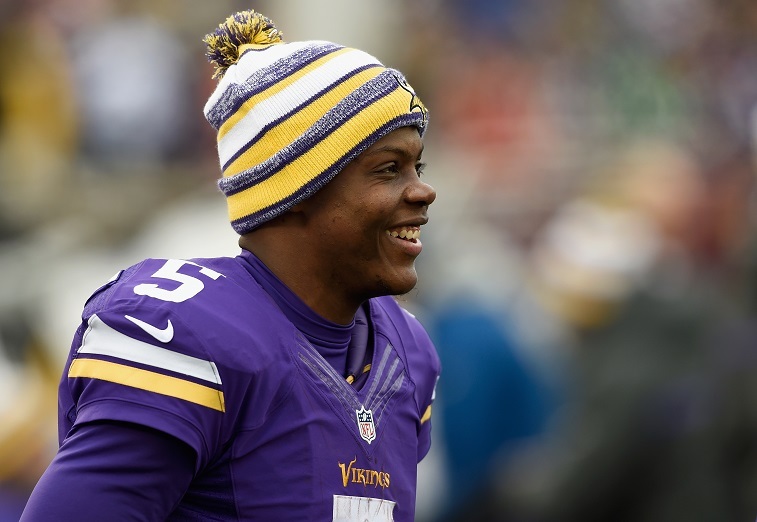 Most importantly, Teddy Bridgewater went 6-6 as a starter, which helped to keep the Vikings in the playoff hunt until late in the season. Now Bridgewater will be able to play alongside Adrian Peterson, who was shut down for the majority of Bridgewater’s rookie year and never took the field with the young quarterback. Peterson’s mere presence on the field will open up the game for Teddy Bridgewater, and it’s likely offensive coordinator Norv Turner will mix in a series of screen, play-action, and option reads to keep defenses off balance. Still the most boom or bust QB in the league, there’s no doubt that Blake Bortles looks like he came straight out of Central Casting as a franchise quarterback, with a rocket arm and his aforementioned size. 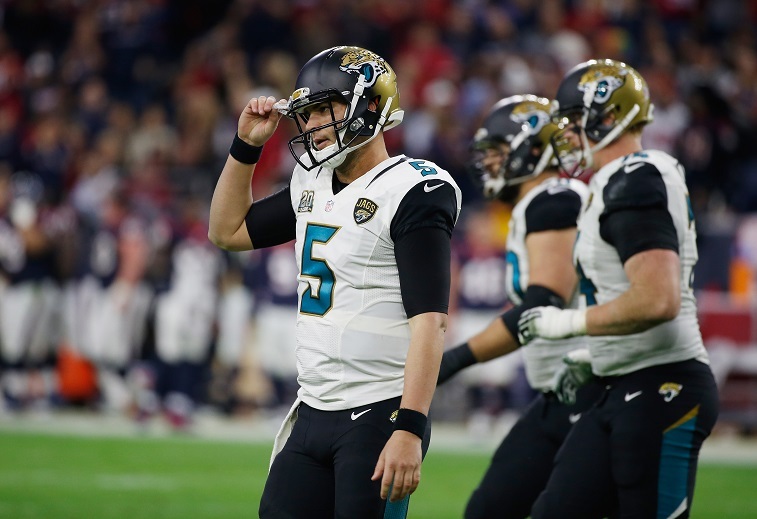 Last season, Bortles started 13 games, but had a tough go, to say the least, completing only 59% of his passes, getting picked off 17 times, and taking a league-high 55 sacks. It’s not all a disaster, though — even the most cynical Jacksonville Jaguars fan will readily admit that Blake Bortles is no Blaine Gabbert. Maybe it was only in flashes, but it was possible to see Bortles feel the pressure, drift right in the pocket and set his feet, before firing a strike right down the middle of the field and into a tight window… only for the football to bounce right off the receiver’s hands. At those times, it became clear that Bortles was thrown into the Jacksonville fire, with little to no help at the skills positions. Blake Bortles actually finished up his rookie season as the second leading rusher on the team, with 419 yards on the ground. In order to help their beleaguered quarterback, the Jags took running back T.J. Yeldon out of Alabama in the second round of the draft, before signing free agent tight end Julius Thomas to a five-year, $46 million deal. With these new weapons in the fold, Bortles may go for more than 3,500 yards passing as he gains the experience to pick his spots and take what the defense gives up, instead of forcing the ball into tight coverage. 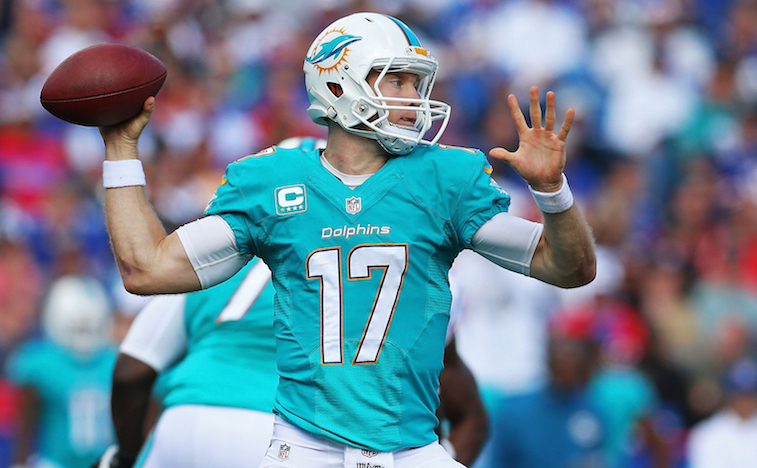 Last year, Ryan Tannehill quietly established himself as the second best quarterback in the AFC East, going vertical for 4,045 yards and 27 touchdowns. Now heading into his fourth year, Tannehill has already improved upon his completion percentages, yardage, touchdowns, and QB rating with each successive NFL season. That said, the Dolphins QB was, and is, easy to overlook, especially given the talent and media-ready personalities that dominate his team’s division. Tannehill was actually the leading receiver at Texas A&M, through his first two seasons in College Station, and didn’t become the full-time starter at QB until his senior year, when he torched defenses for 3,744 yards, rocketing up NFL draft boards in the process. There’s no doubt that he brings a unique perspective to quarterbacking, in terms of both his athleticism and knowledge of route trees, as such the sky is the limit for Miami’s quarterback. For now, Tom Brady and his four Super Bowl titles loom large, above Tannehill in the AFC East. Of course, with the addition of Ndamukong Suh and Brady staring down a four-game suspension, in light of Deflategate, the Fins may then very well find themselves alone atop of the AFC East by Week 5.